The weather today wasn't great for most of the day. We had up to 35 knot wind (gusting to 45 kt), snow fall and some blowing snow and the sky was completely overcast. At the same time, the temperature came up to -0.9°C - the warmest we've had it since last summer. The sky cleared up for an hour or so in the evening and became overcast again. One of the effects of such a high temperature is that the snow started to melt in a lot of places, causing small leaks in the temporary camp and creating some impressive icicles on the outside. Literally every metal surface on the windward side of vehicles and buildings got covered with a thick-ish layer of ice. 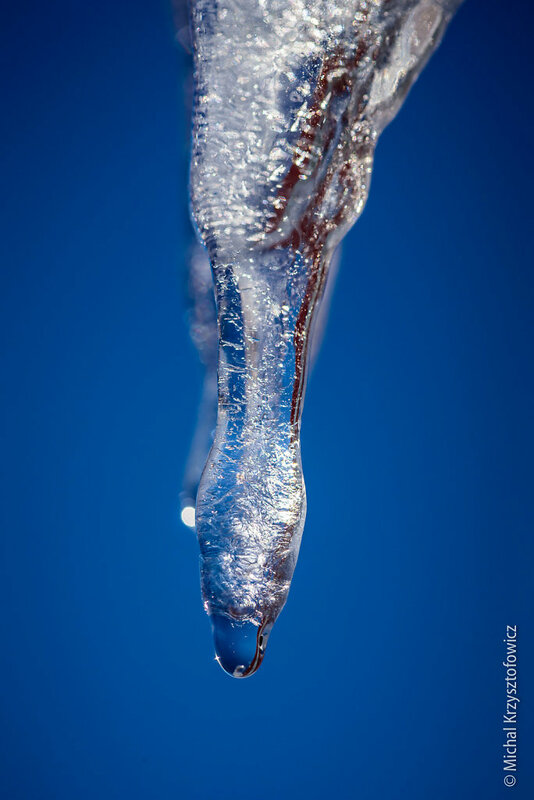 In the image is an icicle hanging off near a module's leg, with the melt water dripping off its tip.